Over sandwiches at Which Wich next to the University of Texas campus in Austin — he had the buffalo chicken, she went veggie — they described an almost intoxicating ride toward what they hoped would be the first statewide Democratic win in Texas in a quarter-century. Then, suddenly, it all came crashing down — not only the chance to retire Cruz, but also the “Betomania” they lived and breathed every day. 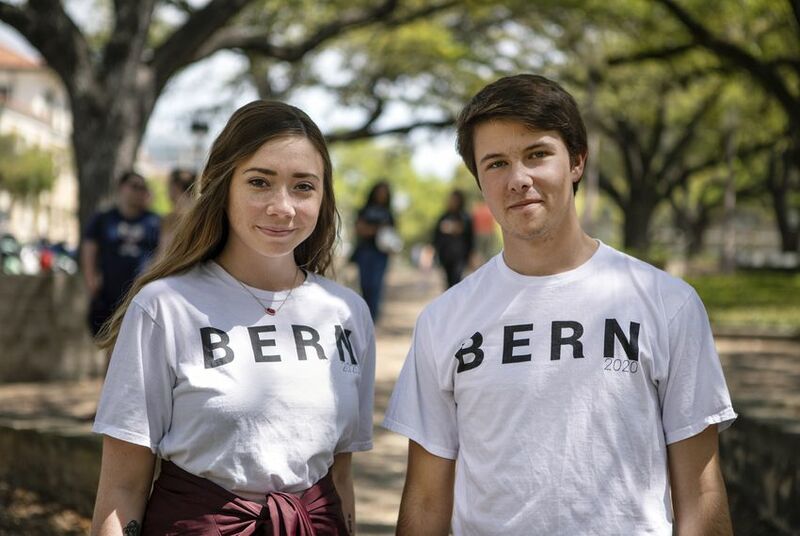 Young and Lanning, both 18 years old and first-time voters, soon woke up to a sort of political hangover — disillusioned with O’Rourke and convinced he was not the true progressive they had imagined. Their journey reveals a major fault line for O’Rourke as he transitions from a statewide campaign in which occasional votes with the Republicans can be an asset to a new primary playing field where some see those moves as political apostasy. Although his record and platform clearly put O’Rourke left of center on the Texas political spectrum — on guns, immigration, taxes and more — many progressive voters see weakness on some of their core issues in the 2020 race. For Young, the first wake up call was negative coverage in pro-Palestine media reviving a September tweet in which O’Rourke praised (Young called it “fawning over”) the American Israel Public Affairs Committee, the main pro-Israel lobby group. (O'Rourke recently called Israeli Prime Minister Benjamin Netanyahu “racist”; his campaign said he favors a two-state solution in the Middle East and pointed out that as an El Paso congressman, he regularly met with groups on both sides of the Israeli-Palestinian divide). Then there were stories about past votes that Young and Lanning realize they had glossed over or never even paid attention to. Case in point: O’Rourke’s positions on and ties to Big Oil. Asked last week if O'Rourke had any regrets about voting for lifting the oil export ban, his campaign re-upped the Medium post, saying O’Rourke believes the U.S. should strive to become less dependent on energy “from volatile areas of the word” and that it would would help “free this economy from a dependence on fossil fuels and greenhouse gas emissions.” The campaign also noted O'Rourke's pride in Texas' No. 1 spot in wind energy production and "solar energy potential." While his vote was a solid political bet in oil-rich Texas, it puts him at odds with national progressive critics who say fossil fuel exports have triggered an explosion in environmentally fraught drilling processes like fracking and exacerbated climate change, which O’Rourke calls an “existential crisis” on the campaign trail. O’Rourke was also one of only 22 Democrats — almost half of them from Texas — who joined with Republicans to defeat a measure that would have cut off federal money to research the potential for offshore drilling in the eastern Gulf of Mexico, where it’s mostly not allowed currently. The League of Conservation Voters called the vote he cast “anti-environment,” Last weekend, O’Rourke’s campaign said he has flipped positions on the amendment and would vote differently today. Then came word that Oil Change US pulled O’Rourke’s name from the “No Fossil Fuel Money Pledge” after discovering his campaign was awash in donations from oil company employees, including some top executives. 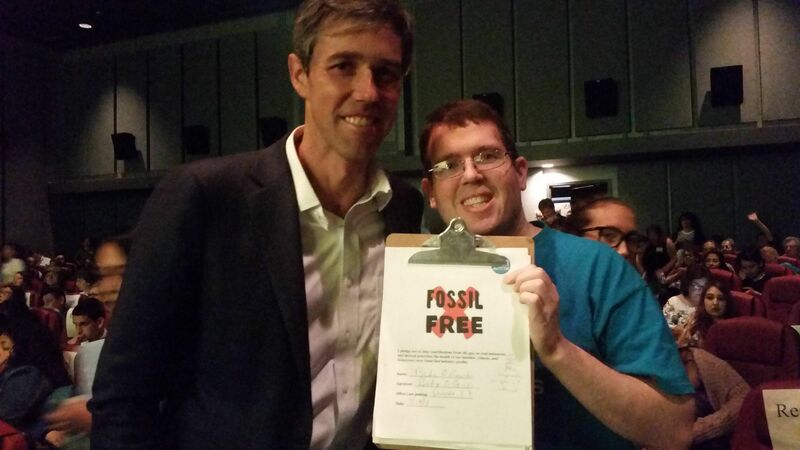 The Texas Tribune obtained a copy of the “Fossil Free” pledge O’Rourke signed in April 2018, at the behest of an Austin environmental group. But the version O’Rourke signed did not contain specific language about refusing money from executives. His campaign did not directly say whether O’Rourke knew the pledge he signed was meant to extend to oil company executives, pointing instead to his vow (then and now) to refuse all donations from political action committees, special interest groups and lobbyists. According to the nonpartisan Center for Responsive Politics, the only federal politician who got more oil and gas money than O’Rourke in 2018 was his Republican opponent. While his moderate stance on oil and gas policy may have helped the charismatic Democrat win over swing voters in Texas last year, it turned out to be a deal killer for Lanning after she learned about it. O’Rourke’s campaign pointed the Tribune to remarks he made recently in South Carolina, where opposition to offshore drilling enjoys bipartisan support. He said — near the 30-minute mark in this Facebook post — a lot of his oil and gas donors were rank-and-file employees who gave small donations. Both Lanning and Young say O’Rourke does a masterful job of wrapping his policy positions in inspirational rhetoric, but for them, the result is that he comes off sounding more progressive than he actually is. Young says a good example of that is O’Rourke’s position on health care. O’Rourke likes to say he’s for “universal” health care but stops short of the full-throated embrace of single-payer health care in the “Medicare for All” platform more liberal Democrats support. (O’Rourke has endorsed the less sweeping “Medicare for America” plan that preserves employer-based insurance while creating a “public option” that would allow people to buy into Medicare). The legislation did not pass the Senate in 2015, but Congress eventually eliminated the oversight board in a bipartisan vote through an early 2018 spending plan. Campaign spokesman Chris Evans pointed to the same points the former congressman made at the time on Medium and added that O’Rourke voted repeatedly to oppose Republican efforts to “roll back health care for millions” who got coverage under Obamacare. Although he’s panned President Donald Trump for supporting a massive border wall and made comprehensive immigration reform a cornerstone of his presidential campaign, O’Rourke’s 2017 vote on a Republican bill designed to fast track the hiring of border and customs agents and officers — in part by waiving lie detector tests for honorably discharged veterans and certain applicants already in law enforcement — has put him at odds with many liberal Democrats and immigration advocates; they warned it could lead to more human rights abuses and corruption in border law enforcement. “It just felt like he was sort of tagging onto Trump’s rhetoric about militarizing the border, and just hire as many Border Patrol agents as possible in a short amount of time,” Young said. “I think we need to move forward at a reasonable pace and not go all the way all at once,” said Landes, 67. San Antonio voter Cathy Cisneros, who also attended the rally, said she was drawn more to O’Rourke’s tone than any one issue. “I just like him,” she said. 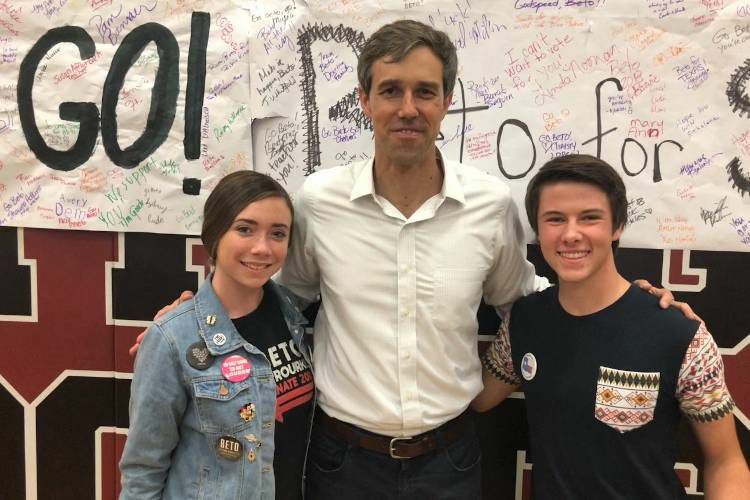 Lanning and Young say O’Rourke’s oozing charisma and inspirational tone blinded them to a more careful look at his record. Once they looked — then defected to Bernie Sanders — they say they lost friends over it. 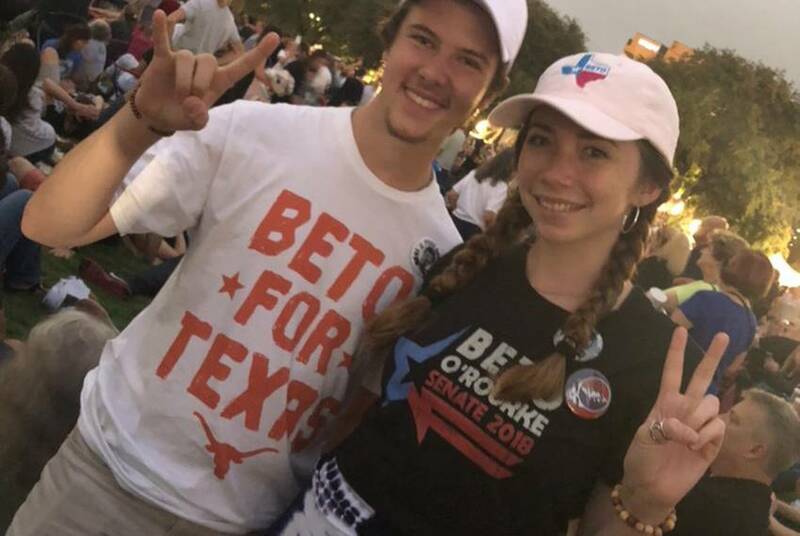 Young, who made a video about his switch, said “it got personal” with many colleagues from the Beto for Texas days. “He is grateful that they played a role in increasing voter turnout of young people in Texas by 508% and in securing the most votes a Democrat has ever received in Texas history,” Evans said.